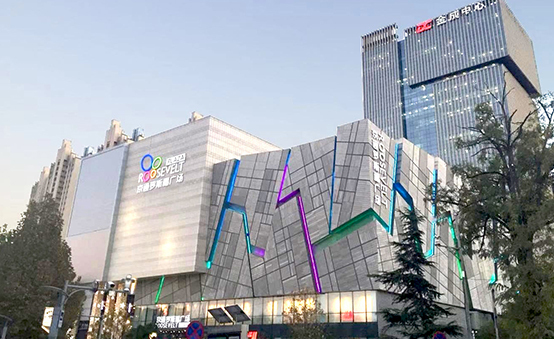 Link’s recent acquisition of Beijing Jingtong Roosevelt Plaza has extended its mainland footprint with a subway-linked asset in the capital’s fast-growing Tongzhou District. 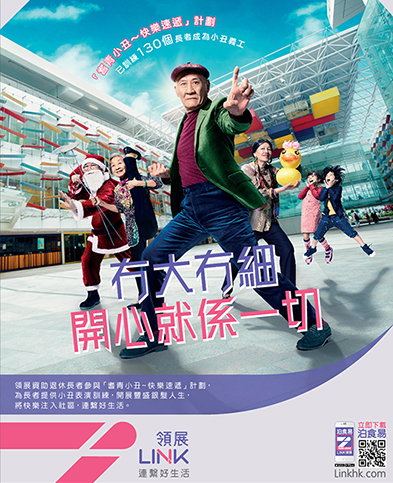 Tongzhou District, which has seen robust growth in residents’ disposable income in recent years, is considered the eastern gateway to the capital and has been positioned by the city government as Beijing’s sub-centre, home to many public facilities to be relocated from the city centre. The upcoming new residential developments around the property, coupled with the recent move-in of many municipal departments to the district, bode well for shopping demand. Tourism-related demand will also be spurred by the new subway extension currently under construction to Universal Studios Beijing, which is expected to open in 2020. 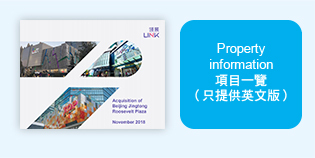 Strategically located along Beiyuan South Road, the main artery of Tongzhou District, Beijing Jingtong Roosevelt Plaza is adjacent to Jiukeshu Station on the Batong Line of the Beijing Subway, as well as Jincheng Center, a 23-storey office building. Situated amid high-density residential communities, the property is well placed to serve the district’s growing residential and working population. 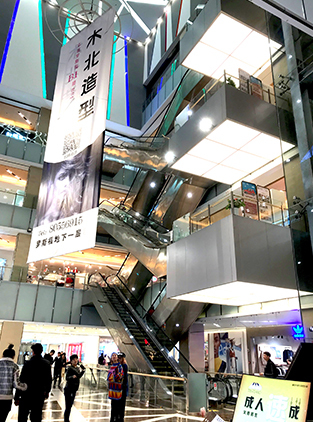 With a total retail GFA of about 67,546 sqm, the property boasts a dynamic mix of retailers, including food and beverage, fashion/accessories, kids/education and lifestyle, and health and beauty, as well as a cinema complex. Wan Tsui Shopping Centre has recently been refurbished and has cemented its position as a foodie hub by introducing popular F&B brands and doubling the number of eateries to 12. 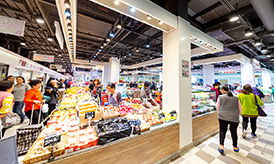 In addition to long-standing local brands like Shau Kei Wan Wong Lam Kee and Jan Heung Yuen, the mall’s first-in-Link’s-portfolio eateries include Golden City Seafood Restaurant, Kyoto Japanese Restaurant, Lim Kee Bing Sutt and Marsino. 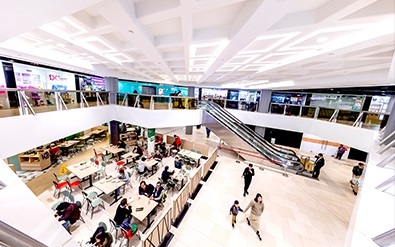 The mall’s new food street showcases the first Chai Wan outlets of popular siu mai and dumpling stalls, and features a dining area equipped with phone-charging points. New retailers have also been introduced, offering fresh food, clothing, toys and children’s interest classes. 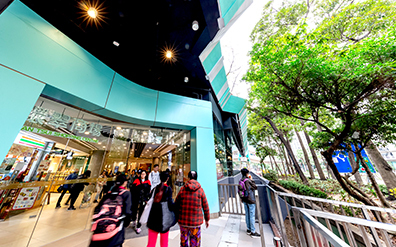 The mall’s new jade-green-coloured façade, ring-shaped MTR-connected entrance and eye-catching “Foodie Hub” sign have greatly enhanced its visibility in the district, while its integrated, fully air-conditioned retail area and new barrier-free access provisions make for a more visitor-friendly setting. 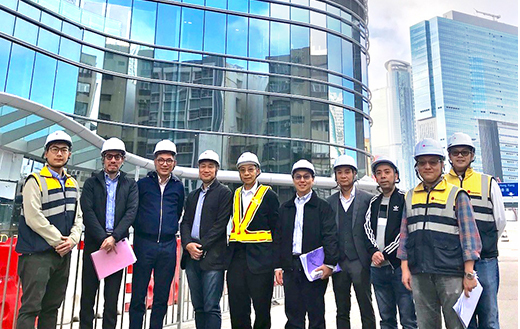 Management teams of Link and the main contractor Gammon visited the work site of The Quayside, Link's joint venture commercial development with Nan Fung. Slated for launch later this year, the building's curtain wall and major mechanical and electrical systems are largely complete, whilst interior fit-out works and statutory inspections are ongoing. 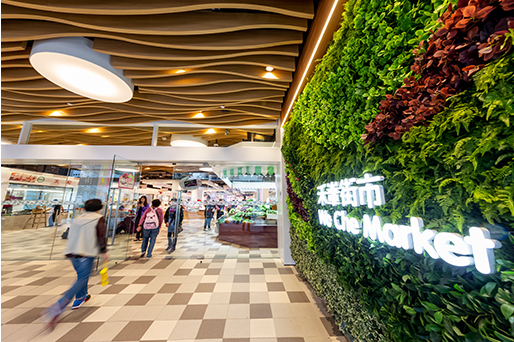 In addition to offering a wider selection of fresh food, the newly renovated Wo Che Market has brought in premium food outlet Ocean Three and Japanese eatery Pop Sushi, both of which are making their debut in Link’s portfolio. 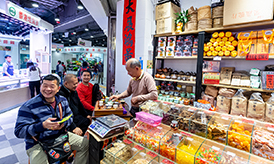 Featuring a number of new snack shops, the market’s street-facing cooked food zone is a convenient stop for a quick bite, especially for commuters from the nearby bus terminal. In addition, the market features air-conditioning, good sightlines thanks to its low-stall design, barrier-free-access enhancement and a new entrance connecting to the shopping mall, which combine to make for a well-presented, comfortable grocery shopping environment. Wo Che Market celebrated its opening after asset enhancement with a reward programme "$1 Day" enabling customers to choose from more than 2,000 selected ingredients and gourmet seafood priced at $1 each. Customers could redeem stamps after shopping or dining at Wo Che Market to enjoy the special offer. 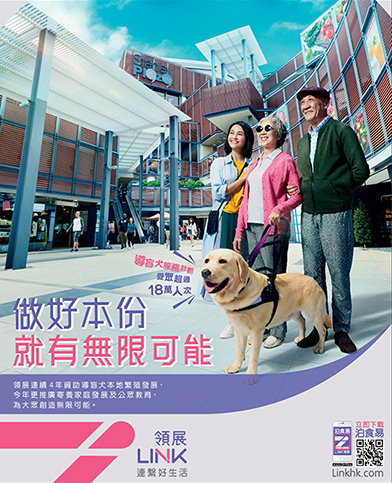 Building on its successful brand advertising initiatives last year, Link’s new thematic campaign features two TV commercials about the Guide Dog and Happy Clown programmes supported by Link Together Initiatives. In keeping with Link’s brand promise of “linking people to a brighter future”, the commercials underline in a light-hearted way how Link connects local communities and gives back to society. Both commercials are now being aired on major TV channels, complemented by print advertisements, bus body posters as well as online and social media videos. 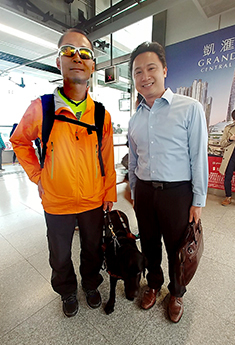 見証導盲犬服務改善視障者生活 The day following the TV commercials’ launch, by sheer coincidence, General Manager of Corporate Development & Strategy Calvin Lee Kwan saw a guide dog user in the MTR and quickly found out that he was actually Gary Leung, accompanied by Link Guide Dog Programme graduate Gaga. When chatting about the difficulties of bringing guide dogs onto public transportation, Gary shared that “Guide dogs like Gaga are well trained, working professionals just like humans.” Regarding how the public can help enhance the guide dog experience, his suggestion was to “watch out for their tails on public transportation, and ask before petting the dog – after all, they are on the job too!” Gary was highly appreciative of Link's efforts in promoting guide dog services in Hong Kong. At the Practising Governance Annual Conference, Chairman Nick Allen shared Link’s experience in tracking macro business trends and bringing them to the boardroom. He also attended the Bank of America Merrill Lynch Asian Property Week to discuss Link’s business strategy and outlook. 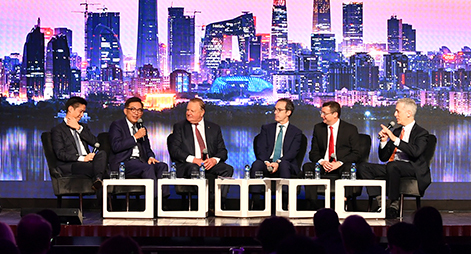 As a panellist on MIPIM Asia’s “Meet the Chairmen Session”, CEO George Hongchoy (second from left) addressed various investment-related topics, including Link’s investment strategy and the impacts of market headwinds. At another panel discussion, Director of Investment Christine Chan offered her views on the retail property markets in Hong Kong and mainland China, and the potential of cities in the Greater Bay Area. 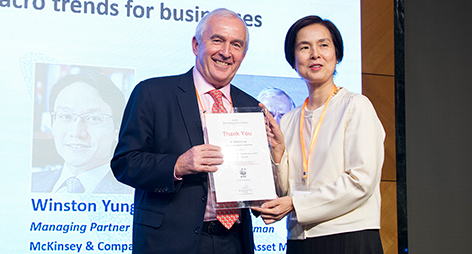 Director of Asset Management (Hong Kong) Peionie Kong was named among the top 50 Innovative Retail Leaders in Hong Kong 2018 by Inside Retail Asia. The ranking recognises the best and brightest innovators across the retail sector during the year. 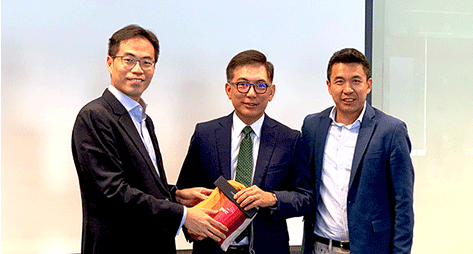 On PwC's Strategy Day, CEO George Hongchoy (middle) shared Link's transformation and strategy in serving its various stakeholders, as well as his own professional journey to becoming one of Hong Kong’s leading CEOs.